There is a growing prevalence of children with Autism Spectrum Disorder (ASD) throughout much of the world. Current prevalence data from the CDC cites that 1 in 68 children have a diagnosis of ASD. One of the core deficits associated with ASD involves social communication skills. Intensive early intervention programs based on Applied Behavior Analysis provide the most empirical support for children with ASD to gain functional skills that promote independence, communication, and age appropriate social skills. These skills allow for more opportunities to be included with their peers in academic, social, and community settings leading to overall higher quality of life. Dr. Gerencser will present her research and clinical work on teaching skill acquisition in young children with Autism Spectrum Disorder. 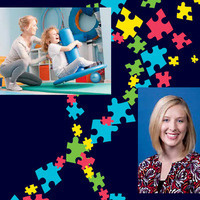 In particular, Dr. Gerencser will discuss her work developing interventions that promote social and play skills in children with autism using visual stimuli such as photographic activity schedules and social scripts. These are popular and well established interventions that are often used in home and school settings.